Jam-packed with chipotle, ancho, habanero, jalapeño, and red peppers. This red-hot mixer is the perfect blend of savory and spicy for a taste that will surprise and delight without killing your taste buds. 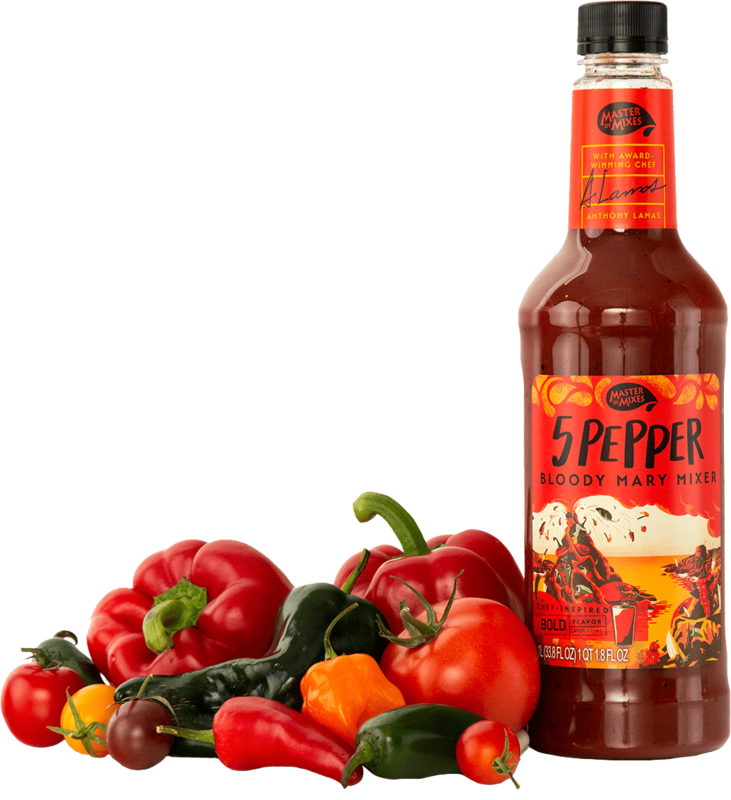 Consistently rated as one of the best (and spiciest) mixes on the market, Master of Mixes Bold Flavor 5-Pepper Gourmet Bloody Mary Mixer is not for the faint of heart. Turn up the heat and enjoy a Bloody Mary unlike any you’ve ever encountered!